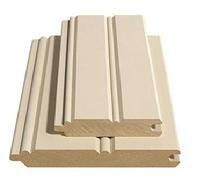 Boral produces beadboards, siding, and siding accessories all made of poly-ash material. Its products have high level dimensional stability and are resistant to moisture, so they are ideal for exterior applications. We stock the following sizes and we can special order other sidings and trimboards per your needs.